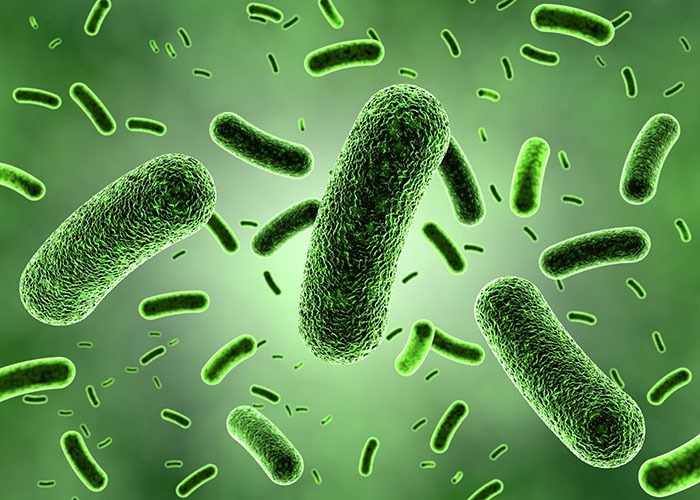 In case of bacteria the term growth refers to changes in the total population rather than increase in the size or mass of an individual organism. The bacteria can grow rapidly because they have a large surface area to volume ratio and can therefore gain food rapidly from their environment by diffusion and active transport. Certain environmental factors such as temperature, nutrient availability, pH and ionic concentrations affect growth. Under ideal conditions cell division may take place every 20 minutes. The number of cells double at each division. It is called Exponential Growth and the time interval is known as Generation Time. Followings are the different phases of bacterial growth. The bacterial Growth Phases are follow. The bacterial growth is divided into four phases. The first phase is Lag Phase. The second phase is known as Log Phase. Third one is Stationary Phase and Final Phase is Decline Phase or also known as Death Phase. Lag phase is followed by a period of rapid growth known as log phase. In this growth phase, the bacterial count increase rapidly. After lag period growth seems to slow down as there is much greater competition for resources. The rate of production of new cells stops. The number of living remains constant. This is stationary phase. Lastly, there is a decline in the viable (living) population. This is called decline phase. This phase is due to exhaustion of essential nutrients and accumulation of toxic waste products. 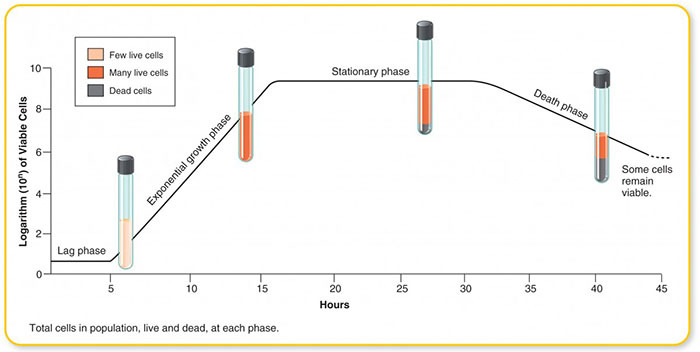 Decline phase of bacterial growth is also known as Death Phase.